DUMPSTER DIVER: Available in 5'8"
POD MOD: Available in 5'2", 5'4", 5'6"
SPERM WHALE: Available in 5'7"
NEW FLYER: Available in 5'6", 5'8", 5'10", 6'0"
HIGH 5: Available in 5'2", 5'4", 5'6", 5'10"
Hydro Hull: 9'2" , 9'0"
None in Stock Right Now. 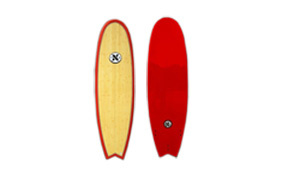 We also have various used boards by New Surf Project. These include two long boards. Come in to see the color and other details of the boards!